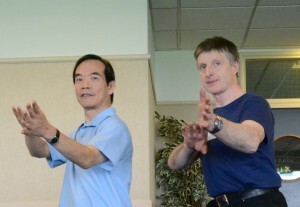 Frank Murphy is a Tai Chi Instructor based in Cork. With nearly 40 years teaching experience as a professional Martial Arts Instructor, he himself began to suffer from arthritis and began to practice Tai Chi in order to control his arthritis and improve his wellbeing. This lead him to study and qualify as Tai Chi instructor under the Dr. Paul Lam’s Tai Chi for Health Institute, a Worldwide organisation who’s goal is to promote health at all ages. Dr. Paul Lam, family physician and Tai Chi expert for more than 30 years, is a world leader in the field of Tai Chi for health improvement. In collaboration with medical experts, Dr Lam has created several Tai Chi for Health programmes to improve wellbeing and quality of life. 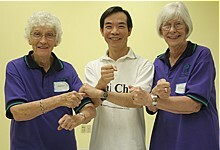 Arthritis and Diabetes organisations worldwide support his Tai Chi for health programmes. Frank Murphy offers Tai Chi classes and private group courses based in Cork and surrounding counties that are suitable for many age groups. They are tailor made to suit you and your organisation’s needs. To find out more, you can contact Frank Murphy on 087 2704478.